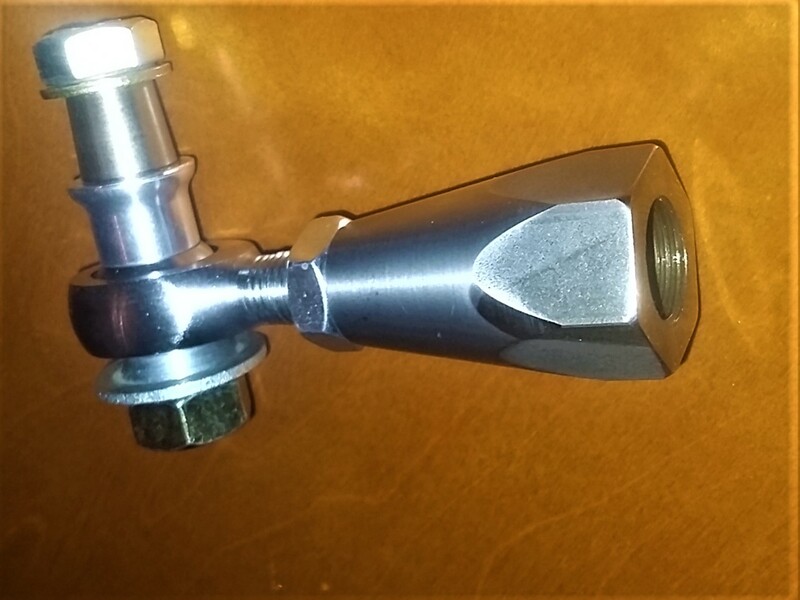 Finally, a simple conversion kit to convert from Tie Rod Ends to Rod Ends (Heim Joints). This is NOT something one really needs for a street driven car, nor is it recommended. If your Sprite or Midget has altered Camber settings from either lowering the car, using offset front suspension bushings, or any modifications from stock, this kit allows for more accurate suspension geometry because the steering rack ends can now be raised higher or lower to adjust for “Bumpsteer”, which is when your car goes up and down thru it’s suspension travel, the tires & wheels themselves go through toe-in, & toe-out. The kit does both sides and includes: adapters to reduce the rack rods down in size to fit the includes Spherical Rod Ends, two tapered adapter for the steering arms, two sets of different length spacers for bumpsteer adjustment, two bolts, two safety retainer washers, nyloc nuts, everything you need. 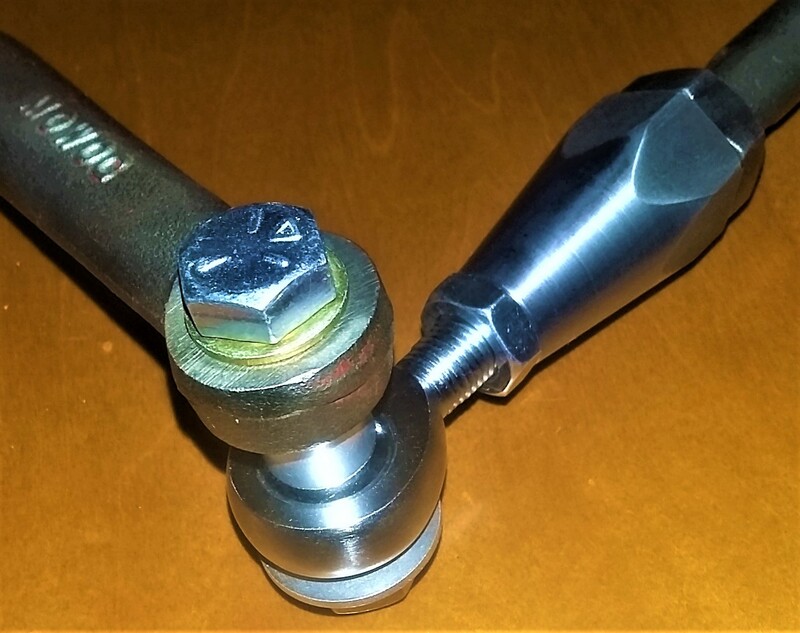 Anyone that can change out a set of tie rod ends can install this kit, BUT – care must be used to make certain that the Rod Ends do not bind when going through wheel travel. 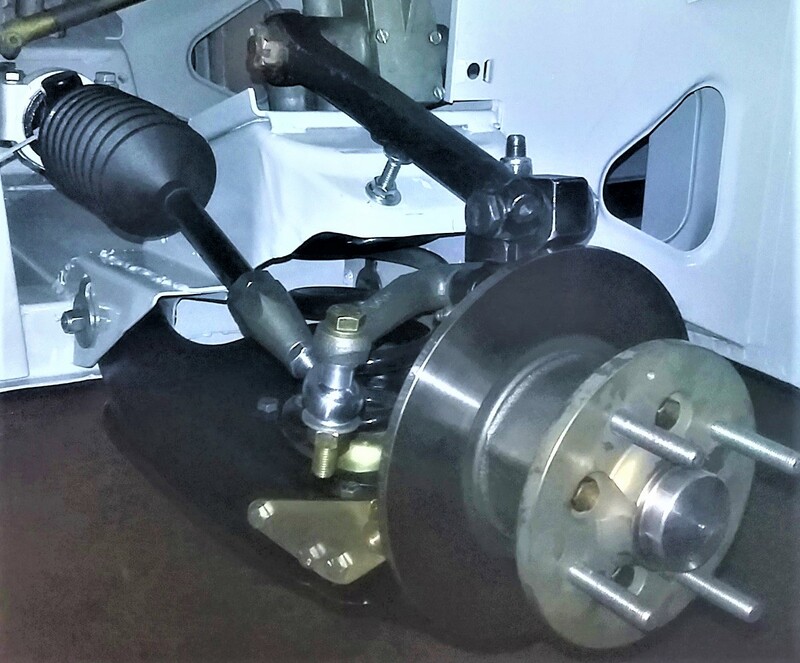 The coil spring should be removed to enable the suspension to be raised & lowered throughout it’s travel, possibly adding a limiting bolt in place of the original rubber stop. Do not just assume anything – steering failure can indeed be a very bad thing in one’s life.